The North West, UK-based blackened death metal sextet HECATE ENTHRONED – whose ‘brutal epic scornful metal’ has earned extensive acclaim over the past two decades – have signed a worldwide recording contract with the American label M-Theory Audio. The group plans to release a new album – their sixth full-length, and first in five years – in January. More information about the recording will be revealed in the coming months. Originally co-founded in Wales by guitarist Nigel Dennan in the mid-1990s, HECATE ENTHRONED is dedicated to delivering their own brand of evil metal with little regard to politics or the trends of popular demand. The group’s 1997 debut full-length, the Andy Sneap-produced “The Slaughter Of Innocence, A Requiem For The Mighty” (Blackend Records), was a seminal release in the then-burgeoning orchestral black metal movement. Since then, several full-lengths and EPs and numerous live performances have firmly established the band as one of extreme metal’s most important voices, a sentiment that the group’s forthcoming album will surely reinforce. 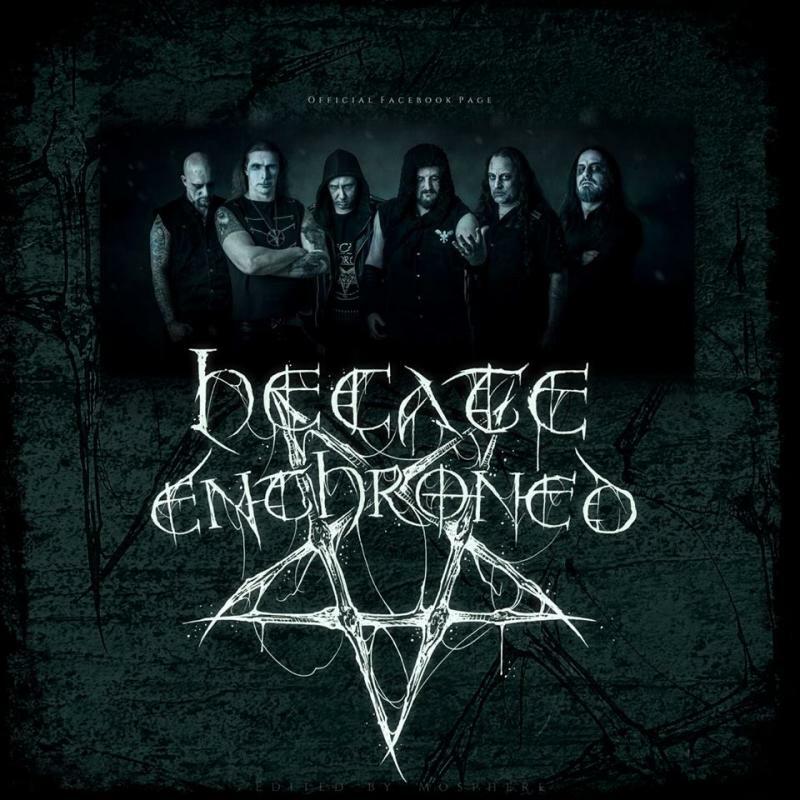 HECATE ENTHRONED will next perform live at the MetalDays festival in Slovenia on July 23 alongside the likes of BEHEMOTH, SKELETONWITCH and CARPATHIAN FOREST. The group has also announced a September 15 headlining show at London’s Black Heart. Advance tickets are on sale now for just £8. Additional tour dates will be announced in the near future.